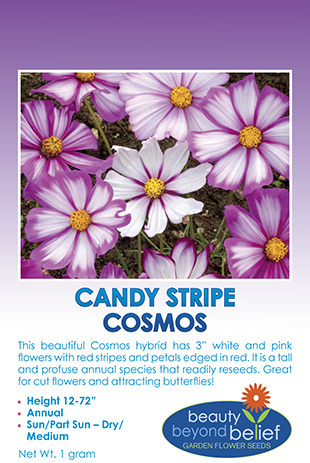 This Cosmos hybrid is a tall and profuse annual species that readily reseeds. The white and pink flowers have red stripes and petals edged in red. The branching stalks of medium green, fine, lacy foliage are perfect as a backdrop to any garden. It prefers well drained soils with neutral to alkaline soils and will tolerate low fertility. 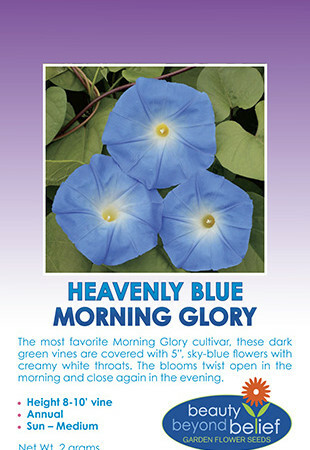 Great for cut flowers and attracting butterflies! Color: White with crimson red stripes and petals edged in red. Planting Rate: 4oz./1000 sq. ft.